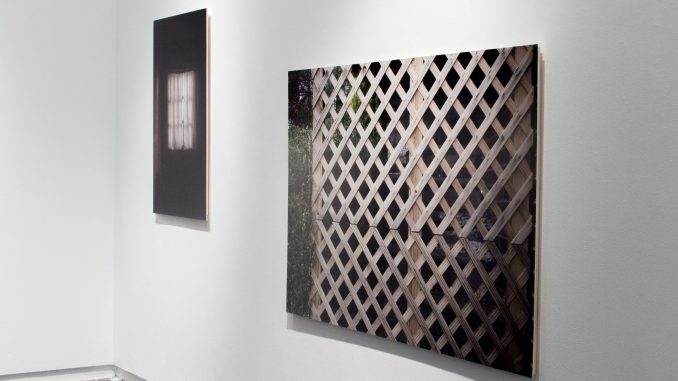 Artist Trish Gibson’s displays images depicting sites of trauma from her family history. Photo by Raelyn Fines. The door still hangs in her grandmother’s home today. It’s as simple as any other of its kind. But about two inches from the small brass knob, the wood is snapped and shattered, framing a dent the size of a fist. It’s a haunting image, resonating with memories of another violent occasion. Memories like the door are what drove Trish Gibson to create “Embedded in These Walls,” a series of images depicting sites of trauma from her family history. Gibson is a VCU student pursuing a Master’s degree in photography and film. She also teaches undergraduate classes, balancing two other jobs on the side. The photographs are accompanied by a short book of poems, which caption excerpts from her family photo albums. Although the story is specific to Gibson’s memories, the details are familiar to many. The installation at the Anderson gallery retells a history of domestic violence experienced by millions every year. Gibson started the project before the issue gained political attention during the 2016 election and subsequent #MeToo movement. She said the groundwork really began when her aunt was taken to the hospital last year. Gibson spent the next week recording stories from her aunt to show detectives. Her family intended to press charges against her aunt’s partner for attempted murder. Barely cognisant, her aunt retold the violence she experienced. But when she was fully awake, she denied everything she had said and wished to drop all charges and return home to her partner. Gibson started weaving her aunt’s story into the larger history behind the abuse that has affected her family for generations. 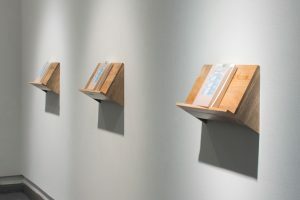 She collected photographs and interviews with other members of her family, analyzing the duality of stories from the past and present. 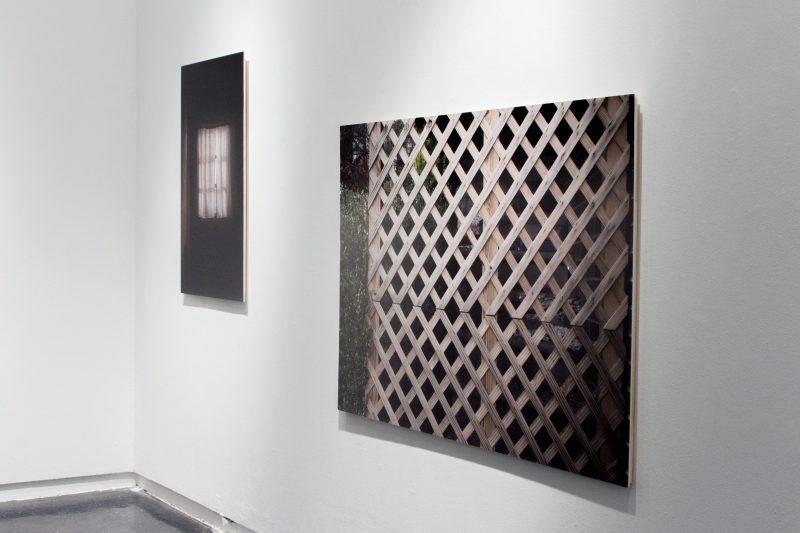 With poems and large-format photographs, “Embedded in These Walls” narrates a curated version of her family’s history. The details behind each image are not needed to understand the story, because the cacophony is almost instantly recognizable. 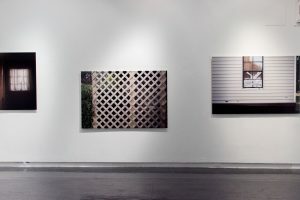 By arranging the pictures according to height, Gibson transforms the exhibition at the Anderson into a real home scarred with abuse. For instance, one image of a dresser is hung from the view of her mother’s childhood bed, transporting the viewer into another perspective. In many images, there’s a small sliver of another space visible beyond the site of trauma. In the picture of her grandmother’s door, the edge of the shot hints at a different room basking in brighter light. “Embedded in These Walls” will be showing at the Anderson gallery until Nov. 16.